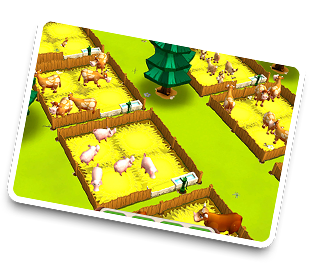 My Free Farm 2 – Experience the Farm Game on your PC! What a way to start the day! Just moments ago, you were using the night phase to grow mushrooms on your fields, now the sun is already back to bathing your farm in golden light. Fantastic challenges and customization options await you in My Free Farm 2 – night mode is only one of these countless features. Now you can enjoy the hit game My Free Farm 2 on your PC. 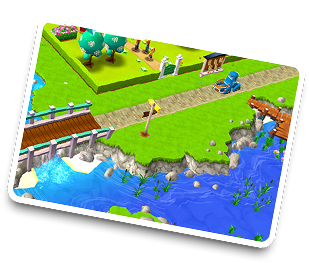 The browser game version provides the same extraordinary farm game fun you know and love. Keep animals, cultivate your fields, bring in the harvest and produce tasty goods for your customers. Register free now and get started! This farm game is sure to captivate you. 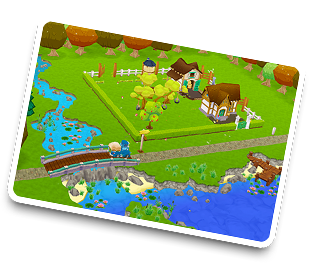 In the browser game My Free Farm 2, you'll establish your own virtual farm. Explore life in the countryside. The tutorial will introduce you to the basics of running your farm. And then you'll be able to get cracking! Tend to your fields, grow fruits, vegetables and exotic plants. Extensive production chains allow you to process your farm-fresh produce into useful and tasty goods for customers. Deliver your goods by truck, or supply Amy the Pilot with bulk orders when she comes calling in her water plane. 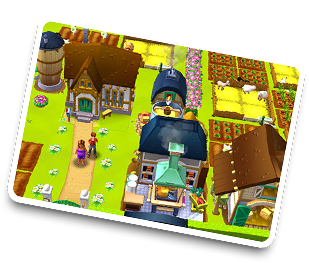 Expand your farm, keep animals, process plant and animal products and rake in money! Let's go! Jump start your country career! Register for free for My Free Farm 2. Explore this riveting farm game with its countless facets, features and functions. Take care of goats, chickens and cows. Grow flowers, tomatoes, cereals, sugar cane and cucumbers. Or is it mushrooms and freshly-tapped beer you want? No problem! Night mode allows you to begin farming mushrooms. Open your own bistro to pamper your guests with culinary delicacies. Turn your small plot of land into a spectacular adventure farm. Earn in-game money by selling your goods. Invest in the expansion of your farm. Start playing this unique farm game now! Welcome to the countryside! Ever dreamed of taking care of cute animals on a farm, bringing in the harvest and plenty of adventures in the middle of nature? Then check out My Free Farm 2. This special farm game allows you to create your own farm right in your browser. All you need is a computer and a working internet connection, and you're ready to go! Experience the magical farm game in the browser.